In one sense, this is a case of the emperor’s clothes. But in another, there’s something to it. Welcome to neuro-fill-in-the-blank. Neuro-management, neuro-leadership, neuro-everything that we think of as business. The rock star of the movement is, appropriately, David Rock. He is not, he’s careful to point out, a neuroscientist. In fact, he’s a pretty eclectic consultant, who does a lot in coaching and leadership, but who has also hit it pretty big with the neuro-thing. Armed with articles like November’s Salon piece, I was prepared to react negatively to his most recent book, Your Brain at Work. Having started it, I find it curiously interesting. Here’s the story. Why do we experience empathy? Why do we help some people, and leave others at the roadside? Why do our minds get overloaded? And so on. This is one of the few situations in life where I find it useful to have studied philosophy. Aristotle nailed this one about twenty-three hundred and sixty years ago. Material cause: Why is Jake so unobservant? Because he’s a teenager. Formal cause: Why do we find Two and a Half Men funny? Because it uses most of the rules of TV humor. Efficient cause: Why is Alan on the floor? Because his brother Charlie hit him. Formal cause: Why is Berta so caustic? Because that’s how they script maids on TV shows. Most of the ‘why’ questions that neuro-management purports to answer are of the third type: efficient causes. Why do we feel empathy? Because “mirror neurons fire both when a person is in action, and when he or she observes someone else engaged in the same action,” to quote the Salon article. If the other three ‘causes’ are hard for you to understand, it’s not because Aristotle was obtuse, or dumb; it’s because our culture has dumbed down the concept of ‘why’ into primarily efficient-cause-addicts. Ah, now we know why. Because we know of mirror neurons. Got it. Now let me point out the emperor’s clothes. f. porque experiencias en comun parecen que unitarnos. Who is to say one of these explanations is ‘better’ than another? Especially the last one, which we recognize as ‘merely a translation’ of the preceding explanation. But—aren’t they all just translations? Some use chemistry, some use poetry, some use metaphor. One uses Spanish. The belief that one version of an efficient cause is better than another is nothing more than a conceit of the last few hundred years, in which the paradigm of physics has been crowned king of all knowledge forms. And the belief that we ‘know’ once a truth is phrased in neurological terms something that we didn’t ‘know’ before it was so phrased is just, well, ignorant. The above notwithstanding, a dear friend recommended Rock’s new book, so I bit the bullet. The first thing I noticed was a great irony: Rock begins his book with a metaphor. “After several attempts to explain the brain in different ways, I decided to structure this book like a play.” He goes on to say the play has four Acts, each with several scenes, and an intermission. The acts and scenes consist of Paul and Emily, Mr. and Ms. Everyperson, going through the struggles of daily life. Think of the prefrontal cortex as a stage in a small theater where actors play a part…to understand an idea, you bring new actors on the stage…to make a decision, you hold actors on the stage and compare them to one another…to recall information, you bring an audience member up on the stage…to memorize information, you need to get actors off the stage and into the audience. But enough cheap shots. In fact, the metaphors are really good. The book is really good. It deals intelligently, and practically, with some really vexing issues of importance to all of us, especially in this day and age. How do we deal with information overload? What price is paid when we multi-task? How can we collaborate? How can we generate insights? And how can we effect change? I must say—though I’m only early on in the book—I’m impressed. 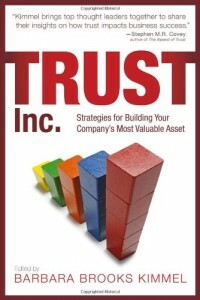 Good stuff, well written, practical–and most importantly, well-conceived. And, if I’m honest, I have to suspect that Rock could not have written those metaphors, nor organized the information, nor made it so practical, had he not done considerable research in the ‘language’ of neuro-etc. So where do we net out on Aristotle vs. Rock? I still think anyone’s claims to the superiority of knowledge based on hard science are over-done; it’s symptomatic of a world that worships surgery over acupuncture, for example. But there’s a lot to be said for translating work into various languages. When Shakespeare said, “a rose by any other name would smell the same,” it has a way of sticking with us better than the same concept as expressed by, say, Noam Chomsky. Opera may sound better in Italian than in German. And much of what we need to know about the mind works well in the language of neuro-whatever. Buy Rock’s book; it’s written in human, about being human, by a human. 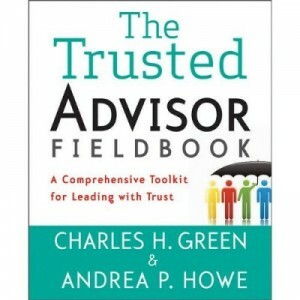 https://trustedadvisor.com/public/ 300 400 Charles H. Green http://trustedadvisor.com/public/trusted_advisor1.png Charles H. Green2010-05-13 10:00:002010-05-13 10:00:00Explaining the Brain--or Not?